Here at our Cary dental office we have been creating dentures for decades. 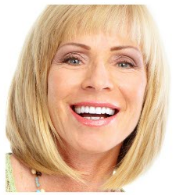 We understand the effect that the perfect denture can have on a person's smile. Dentures are not something that can be done by any Cary dental office. A denture has to have care and time put into its creation. The denture is a handmade addition to your smile, and thus must be treated as such. Dentures that are not created to your oral specifications will create a discomfort during speech. It can also cause wear and tear on your oral tissues that can lead to further complications that may have been unseen initially. Here at our Cary, NC dental office we have the experience and the state of the art equipment needed to make your dentures, the perfect dentures. We have a fully fledged laboratory with a dental laboratory technician and dentist who work hand in hand to make sure we get your smile right. It takes a true craftsman to make dentures of high caliber. Dentures are created by a sculptor who takes the impression of your mouth and creates a masterpiece. We offer a wide variety of services such as complete dentures as well as partial dentures. Complete dentures will ultimately complete the upper or lower half of your mouth. The partial denture will replace a tooth or handful of teeth and fill in a gap in your smile. With missing teeth your smile is affected drastically, affecting social interactions and possible job opportunities. We can make any denture that you would need with the right materials, equipment and staff to do the job correctly. Help us help you and call now 919-813-6341. We can get you on your way to a better smile, and a better life. Partial dentures are created to take the place of a small portion of your smile. If you are missing a couple of teeth then you may want to call us and ask about our deals on partial dentures. The partial denture can fill in gaps in your smile and complete the missing puzzle piece that you need to realize your potential. They are fashioned through a time tested process that includes the taking of an impression, the creation of the denture using acrylic and metal, and the fitting of this denture into your smile to make sure that perfection is realized. If you want to completely assimilate dentures into your mouth in the most natural fashion then you will need to inquire about dental implants. With dentures the tooth is not anchored to the jaw. The jaw physics is tied to the tooth and with no tooth, the jaw contour changes drastically. The shape of the jaw and the shape of your face may be altered unless you get a dental implant with your denture. The implant is anchored to the jaw just like a tooth. This will help the jaw apply forces to your tooth and the denture as nature intended it to do. 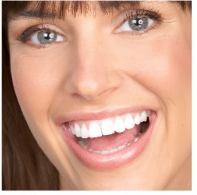 If you want the most effective denture with a dental implant then call now at 919-813-6341. If you have teeth that have fallen out or have been affected by dental infection, or gum disease then you might be in need of a complete denture. The complete denture can supplement the upper half of your jaw or the maxilla, and the lower half of your jaw or the mandible. This will allow you to have smiling perfection on either the top or bottom half of your smile. We are very skilled at creating complete dentures. Our dentures are so life like that no one will be able to tell the difference. We can solve any speech and pronunciation issues that you would have with our smile perfecting complete denture package.